The category featured four nominees that provide quality early education programs to children across Romania. 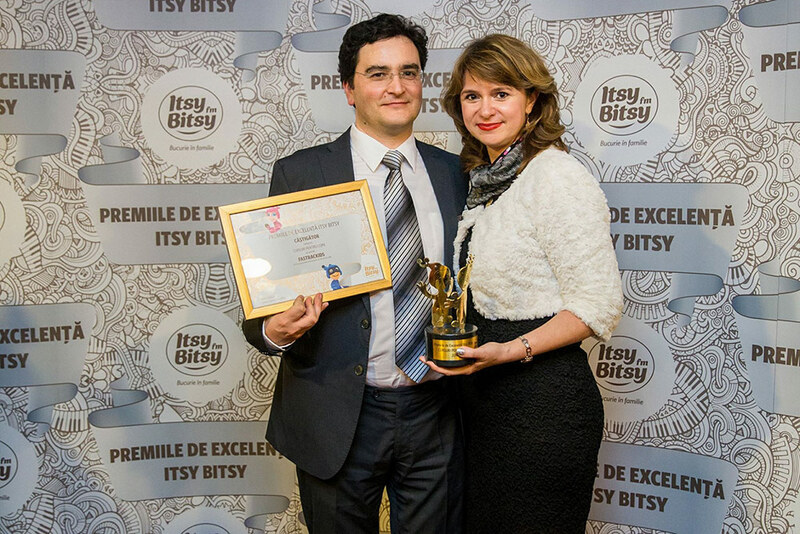 The Awards for Excellence event was organized by Radio Itsy Bitsy as a new initiative meant to “celebrate people who give life to projects for families with kids, for their effort and perseverance directed to quality education in Romania”. Radio Itsy Bitsy is the only radio station in Romania specializing in parent programming and has been broadcasting for the last 10 years in the country. Itsy Bitsy radio broadcasts reach listeners in 20 cities and towns, making them the premiere educational radio station for kids and parents in Romania. 15 FasTracKids centers and schools currently operate in 7 Romanian cities and towns. See the full article here and Mihai’s acceptance speech video below.